This classic and very elegant Set is as romantic as it is dramatic. 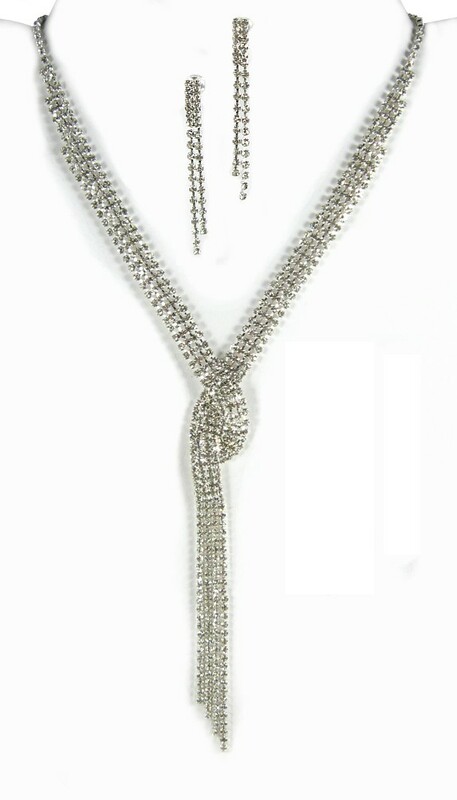 Designed using four rows of tiny crystal clear rhinestones which cascade down to the fashionable "knot" and separate into four individual, shimmering trails. Matching earrings echo the design and finish the Set perfectly. Necklace: 37cm plus 5cm extension. Earrings: 5cm drop.